When it comes to hair styling, I have a very regimented routine! Having tried and tested many a product I have become stuck in my ways and despite being open to trying something new from time to time, on 9 occasions out of 10 I will go back to my old ways. It is therefore very rare for a hair styling product to make its way into my everyday routine and stay. How To Look After Your Beard, The Essential Guide. After first deciding to grow a beard, it can be an exciting time. During the ‘itchy’ phase, it is very easy to start regretting the decision but then it forms into a perfect shape that any man would be proud of. Although all beards are different in shape, size, and colour, they all have one thing in common - they need to be looked after in order to remain healthy and good-looking. 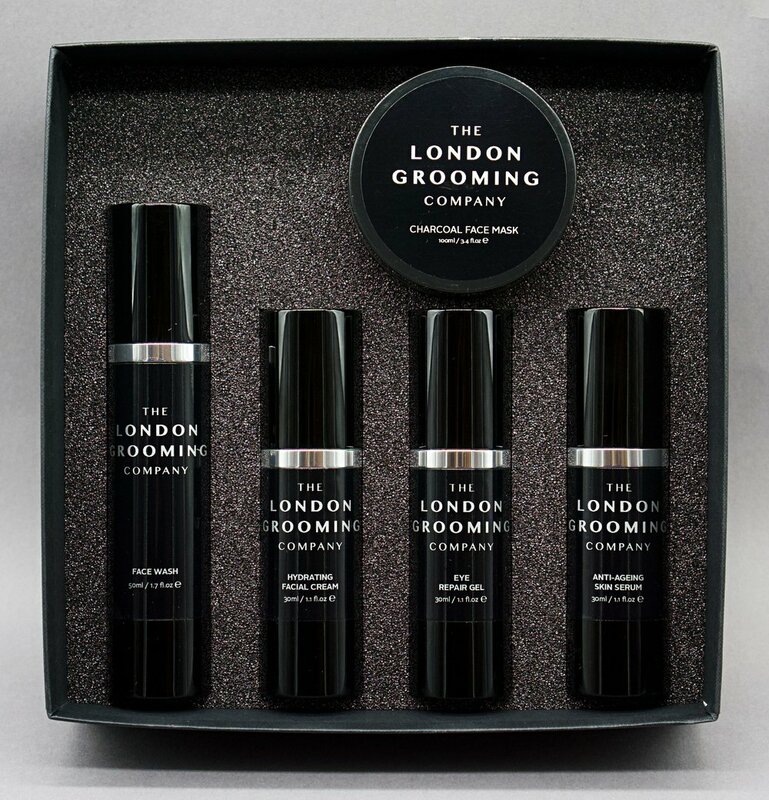 The London Grooming Company are proud to offer two gift boxes in our range, both have selected high quality products that specifically compliment each grooming requirement for the modern gentleman. Working collabortively with our friends at The London Sock Company we offer three grooming products of your choice with a free pair of simply sartorial socks from The London Sock Company's ever expanding range. Men's Grooming has quickly turned into a vital part of the modern day working professional' life. Which is why it is important to make sure that the best products are purchased and used in the right manner, whether it is to maintain one's beard or acheive an acquired hair style. Gentlemen, in order to deliver style, sophistication and great looking hair, it is essential that you have a healthy and consistent hair care routine that is simple, effective and produces results. Following are The London Grooming Company’s Top 5 tips to ensure that your hair is kept healthy and in great condition. The London Grooming Company takes the traditions of male grooming, and translates them into a splendid array of products. Tailored and perfected for the modern gentlemen. This video illustrates our fantastic beard moisturising product. The London Grooming Company takes the traditions of male grooming, and translates them into a splendid array of products. Tailored and perfected for the modern gentlemen. This video illustrates our fantastic hair creme product. The London Grooming Company takes the traditions of male grooming, and translates them into a splendid array of products. Tailored and perfected for the modern gentlemen. This video illustrates our fantastic clay product.